On June 6th 1944, the Allied forces mounted the largest amphibious invasion in world history, succeeding in landing over 160,000 troops on occupied enemy territory on the first day. This extraordinary collection of films from HISTORY commemorates the 75th anniversary of this historic event that paved the way for the liberation of Europe and spelled the beginning of the end for Hitler and Nazism. 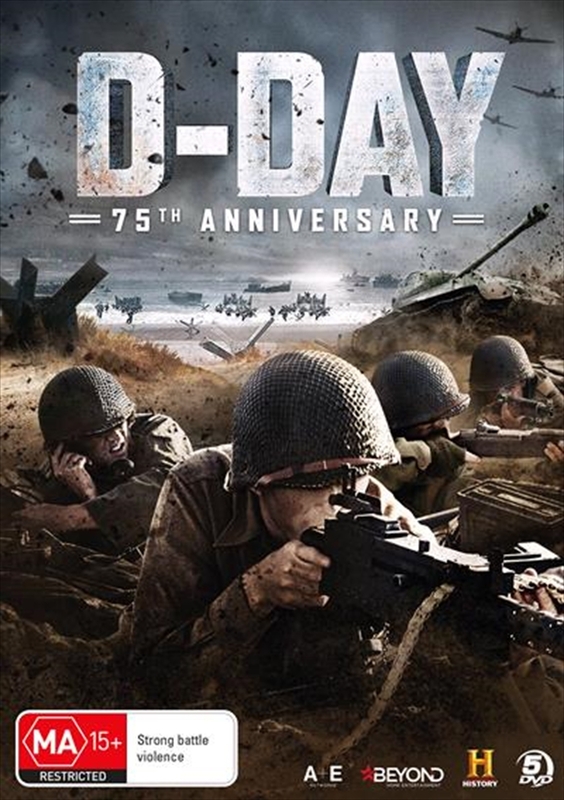 Within this Commemorative Gift Set; discover the painstaking preparations required to mount this incredible mobilisation of man and machine, uncover the unimaginable chaos and carnage of the beach assaults, and experience the untold stories of those that took part to gain a full understanding of the Normandy Landings.